One of the great things about Japan is that you can almost always find remarkable things in the most unexpected places. For example, few would expect that one of the Saigoku Pilgrimage temples would be at the end of shopping street on the outskirts of Osaka. 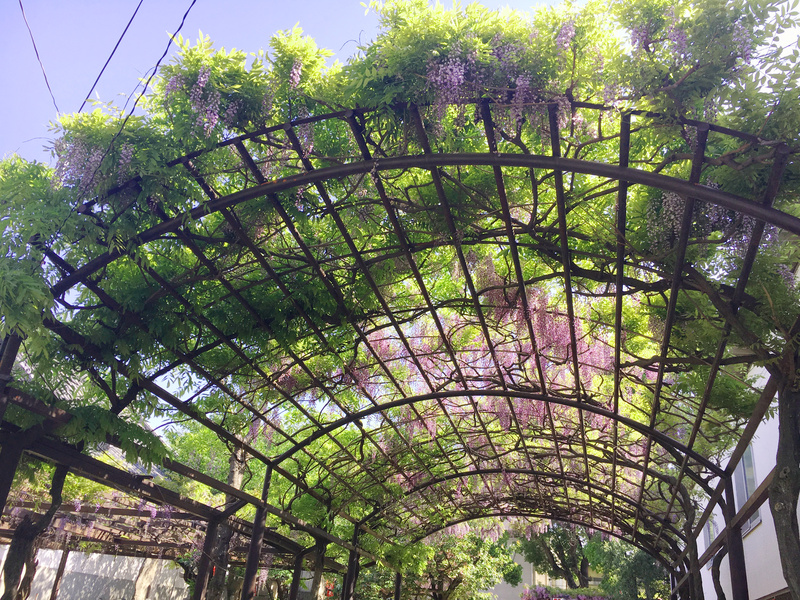 Home of beautiful wisteria gardens and a rare thousand-armed statue of Senju Kannon Bosatsu, Fujii-dera attracts visitors for all over Japan every year. 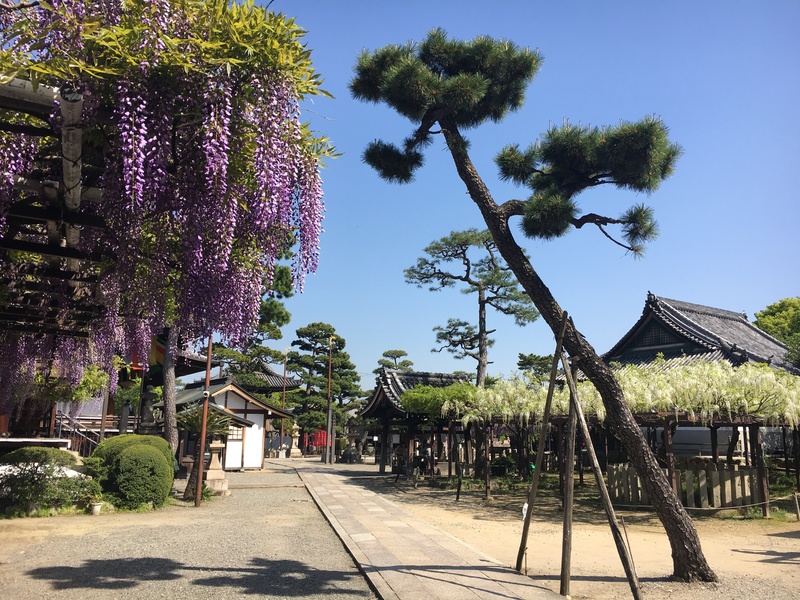 Built 725 on the orders of Emperor Shomu, Fujii-dera’s primary function was to offer prayers for the protection and well-being of the nation and the imperial family. Originally, Fujii-dera was a massive temple with two main halls and two three-story pagodas. In 1096 a number of the temple’s building were worn down an in need of repairs. At this time, the nobleman Fujii Yasumoto donated substantial funds to the temple, allowing the necessary repairs to be made. In a display of gratitude for these repairs, the temple renamed itself “Fujii-dera”. 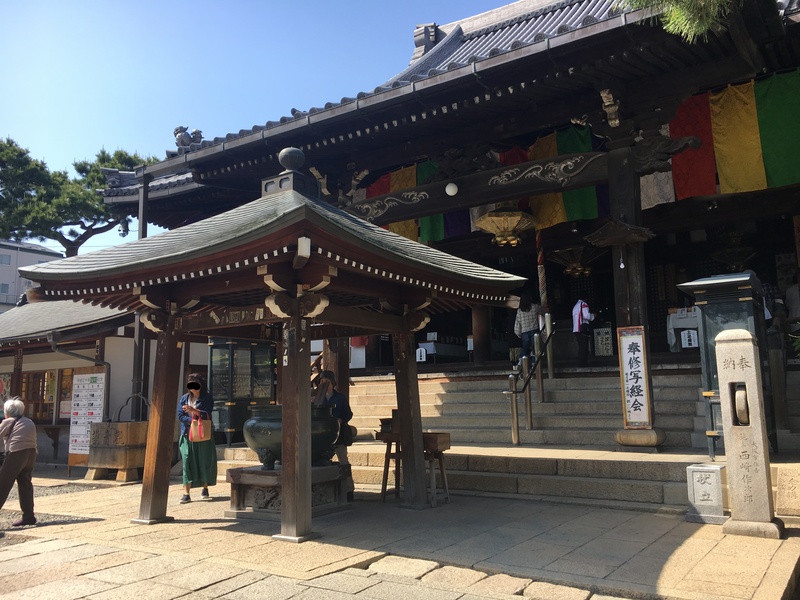 In its time, the temple greeted many famous guests, such as members of the imperial family, emperors, not to mention the famed politician Sugawara no Michizane. Later, some time after the Heain Period, the temple became part of the Saigoku Pilgrimage. Sadly, little remains of the original temple. Because of the events of the Battle of Fujii-dera (1347) and along with a number of fires and earthquakes have left little, if anything, of the original temple. 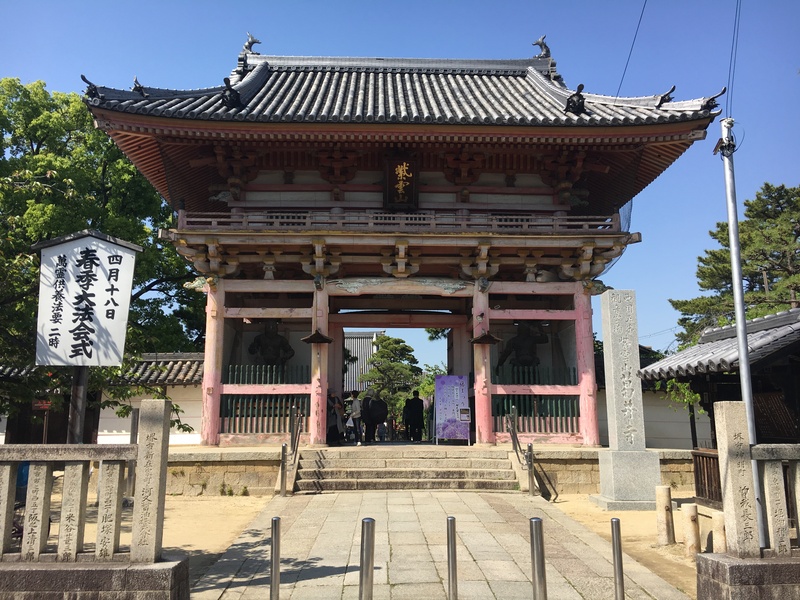 Much of the temple that stands today is thanks to the efforts of Toyotomi Hideyoshi (1601) as well as donations from Osaka locals. 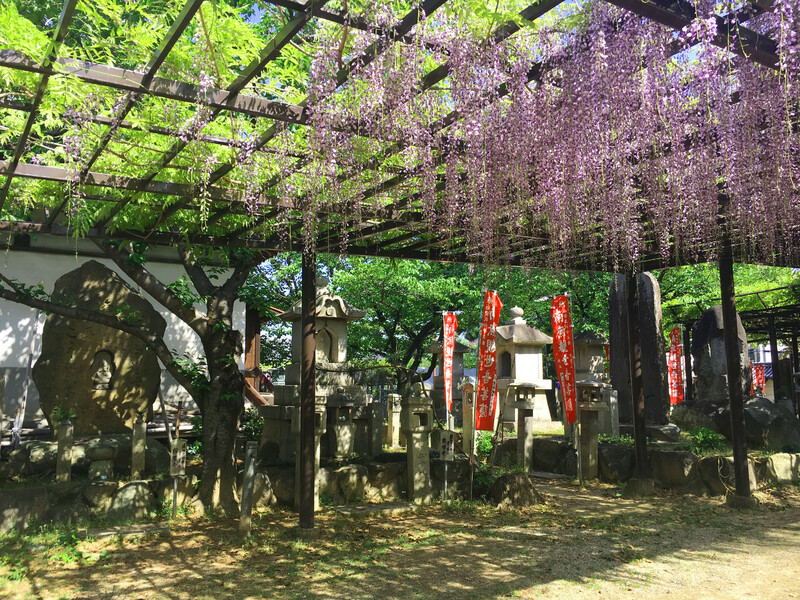 Fujii-dera is off the Kintetsu Minami Osaka Line, just a few short minutes from Kintesu Abenobashi Station. Get off at Fujii-dera Station and take the south exit. Once you are out of the station, go left and keep going straight until you see a long shopping street. From there, it is only about 5 minutes or so to Fujii-dera. 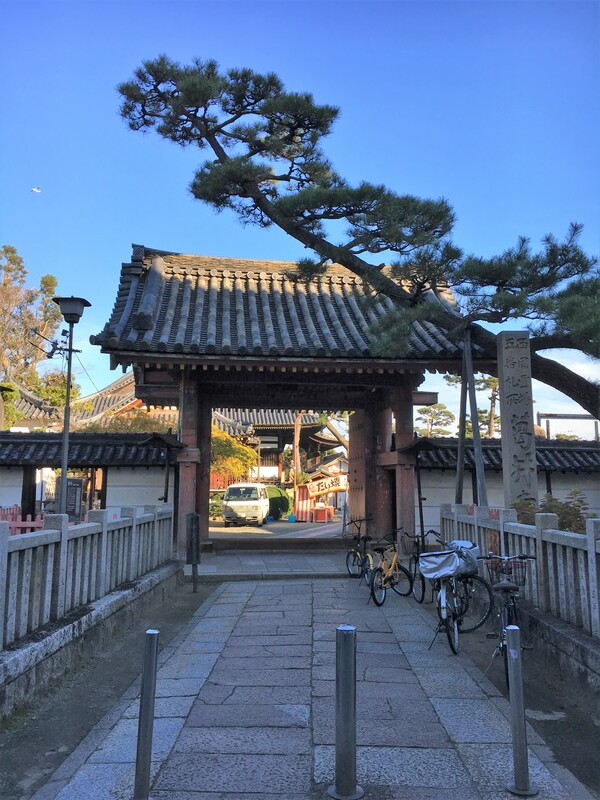 The west gate faces the shopping street and is the oldest structure in the entire temple grounds. The main gate, the Niomon Gate, is a little further down. Take the first left down a small street and you will see it right away. 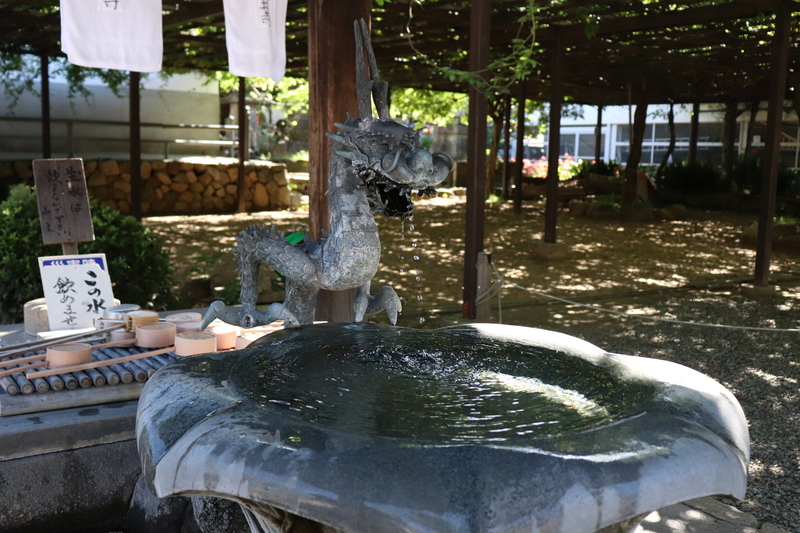 Fujii-dera’s chozu (the place where you wash your hands) is pretty typical, but in fact it is very special! According to legend, once upon a time, Fujii Yasumoto suffered from massive bouts of rage and violence. One day he dropped by Fujii-dera and suddenly had a terrible vision! In his vision, Senju Kannon, pushed him into the mouth of hell. In hell, Yasumoto finally began to reflect, and repent for his behavior on earth. Because he became so sincere and contrite for his actions that Senju Kanon came and restored Yasumoto to earth. Once he returned, Yasumoto drank water from this well, rejuvenating him. Afterwards, Yasumoto was a changed man, and dedicated himself to Fujii-dera. The main Buddha of this temple is Senju Kannon Bosatsu. The statue here, made at the time of the temple’s founding, is the only Buddha statue from the Nara Period left in Osaka, undoubtedly making it a national treasure. 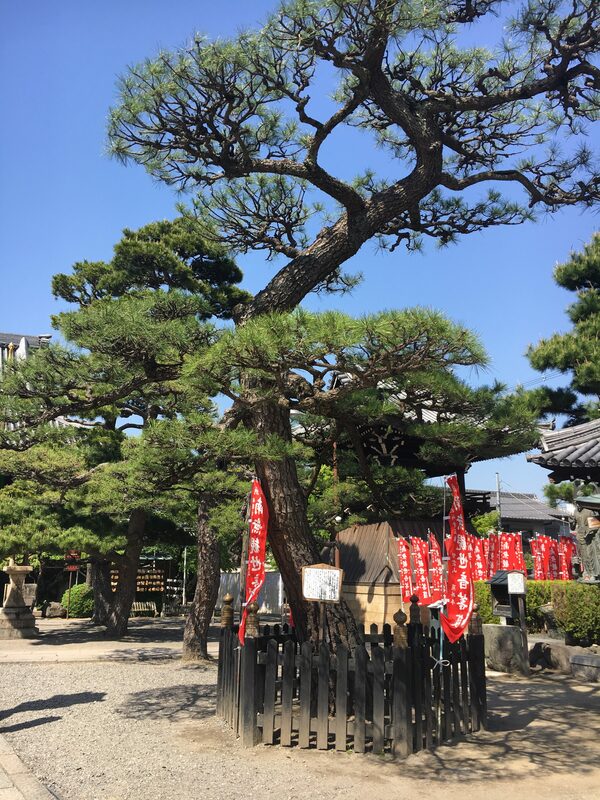 There are many temples whose main Buddha is Senju Kanon, but in general, it is much more common to see statues of Senju Kannon with forty arms, even though “senju” means one thousand arms. Fujii-dera’s Senju Kannon is a true senju, with two big arms folded in prayer, thity-eight medium arms, and thousand one small arms. You can see the statue of Senju Kannon on the 18th of every month, so especially try to stop by then if you can. The large pine tree near the hondo has an interesting story. 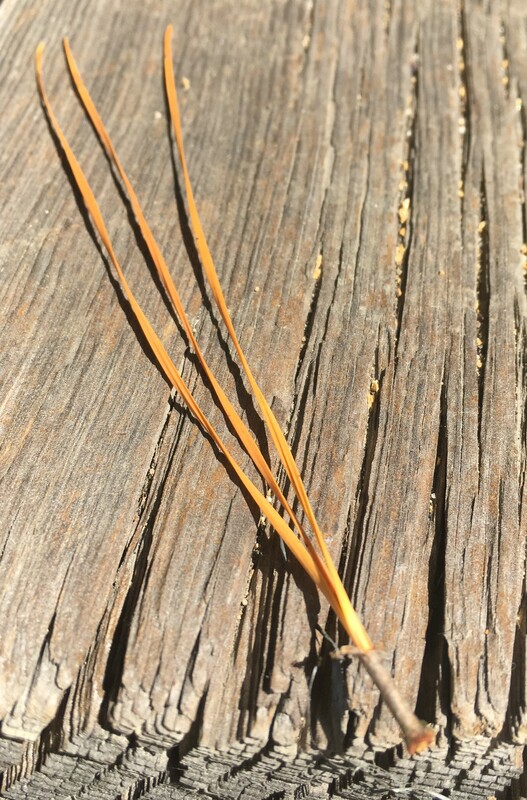 Allgedly when Kusunoki Masashige came to this temple, he found a fascicle of three pine needles. He told his three sons they needed to unite in the same fashion and fight for Emperor Go-daigo. A near literal hunt for a needle in hay stack. 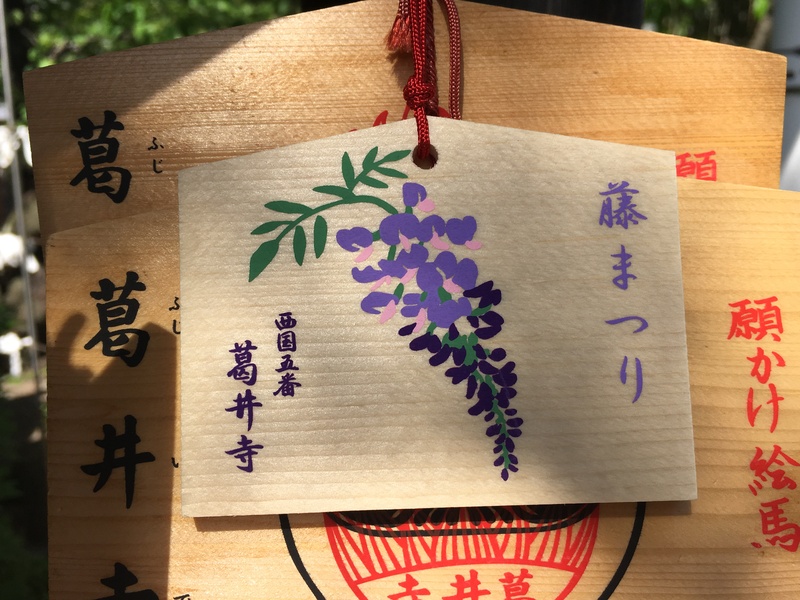 Every year, the temple hosts a small wisteria festival, where guests can come and enjoy the beautiful draping vines of wisteria flowers that decorate the temple grounds. This is easily the best time to visit the temple.